Gogoi was arrested by the Assam Police on charges of sedition on September 23, after he spoke at a public rally at Moran. On September 24, Gogoi was booked under the NSA. GUWAHATI: Released from jail on Wednesday after 105 days of incarceration, Assam RTI activist Akhil Gogoi said peasants’ body Krishak Mukti Sangram Samiti (KMSS), of which he is a leader, would launch a movement against the Central government’s bid to grant citizenship to Bangladeshi Hindu immigrants. 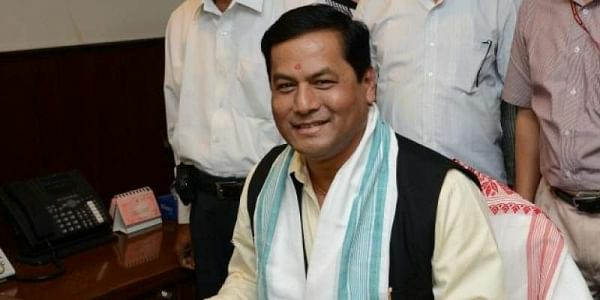 “The BJP government at the Centre introduced the Citizenship (Amendment) Bill, 2016, to try and legitimise the stay of 20 lakh Hindu immigrants in Assam and then bring more than one crore more Hindus from Bangladesh. This is nothing but a conspiracy against the indigenous people. This will destroy Assam,” Gogoi said after coming out of jail. He was arrested by the Dibrugarh police in September under the National Security Act (NSA) for allegedly instigating people at a rally to take up arms against the immigrants. Last week, the Gauhati High Court quashed the charges framed against him under the NSA. But the Dudhnoi police again arrested him in connection with another case registered in Goalpara district. A local court there granted bail to him on Tuesday. Gogoi said the KMSS would launch a movement to secure deportation of immigrants.